IPIC2019 will take place in Madrid, Spain, on November 6-8 at the Madrid Marriott Auditorium Hotel & Conference Centre! The congress website is now online and it is your main point of information for all congress details. 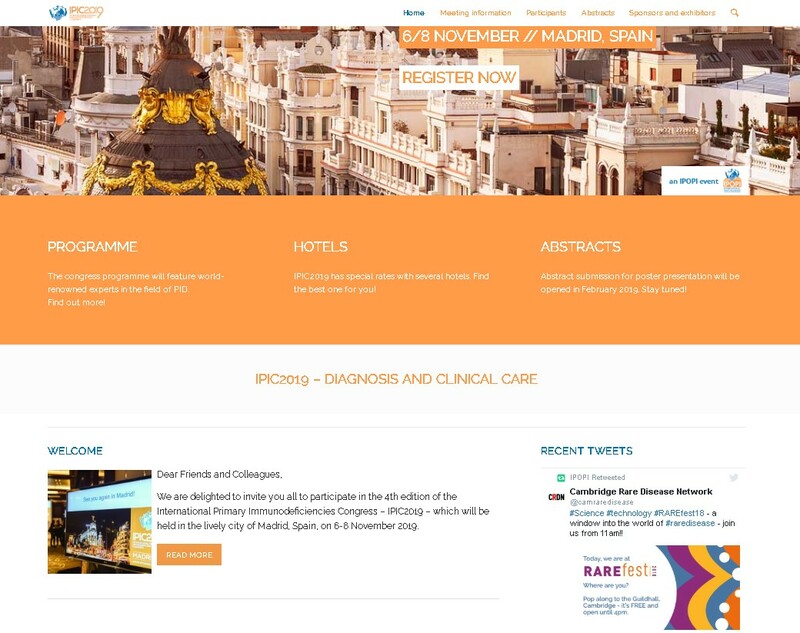 You can check the updates of the congress programme, learn more about the medical organisations supporting it and the pharmaceutical companies offering their sponsorship. As of January you will be able to register to the congress and to book your hotel and in February abstract submission will open!